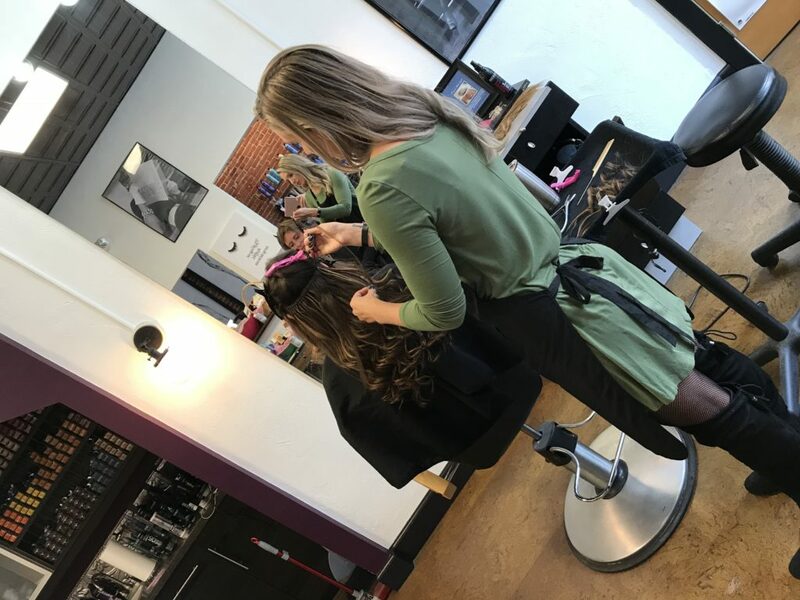 Our extension specialist Nicolette has been creating long,luxurious locks for many years using I tip and tape in extensions. This spring Nicolette has expanded her extension skills to hand tied extensions. The hand tied extension method is not commonly used in our area but is very popular among the west coast beauty scene. If you have seen extensions on Instagram, magazines or TV they are most likely hand tied extensions. Nicolette has been researching this new method to be sure it is a great fit for her current and future clientele. 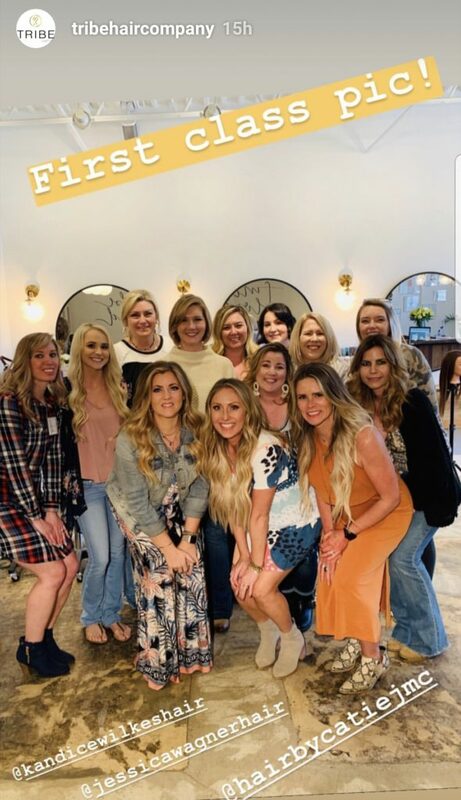 In March Nicolette traveled to Athens, Georgia to take a hands on training by three hand tied extension experts. For seven hours Nicolette watched each and every step of this service, learned the best tips and tricks by the best in the business. 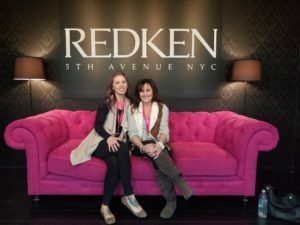 She was blown away by the easier maintenance for the guest, the seamless blend and the variety of options. After perfecting the technique during the hands on portion she is ecstatic to introduce this new extension method to Gettysburg, Pa. This method requires no sticky tape, no heat, the hair lays very natural and is comfortable against the head. A common questions is “will extensions damage my natural hair?” The answer has always been no, for the cold fusions options we offer, if you care for them correctly at home. Hand tied extensions are a guarantee to keep your hair healthy as there is less chance of tugging on delicate strands of hair. The extensions blend better with the hair as there is no bulky bond as with, keratin bonds, I tips and tape ins. The hair lays flat against the head making it harder to detect. Blending seamlessly means they can cover more surface area making it possible to blend those little baby pieces towards the front hairline. Hand tied extensions give you the freedom to wear your hair in any style you desire; top knot, high ponytail, braids, pig tails, and feel confident to wear any style without the extensions becoming noticeable. When deciding whether this is a great option for your lifestyle you will first need to set up a free consultation. During the consultation Nicolette will discuss your ideal hair goals, the length and color desired, maintenance and cost. While each person’s goal the price will vary, but it typically ranges from $630-$900. If the hair is cared for properly at home the extensions can last anywhere from 6-9 months. At the end of the consultation you will need to purchase the extensions prior to setting up an appointment. The hair typically takes 1-2 weeks to come in unless we happen to have it in stock. This is a luxury service and being so will need to be maintained every six weeks. At six weeks the hair will require an express bump which can take 30-45 minutes. 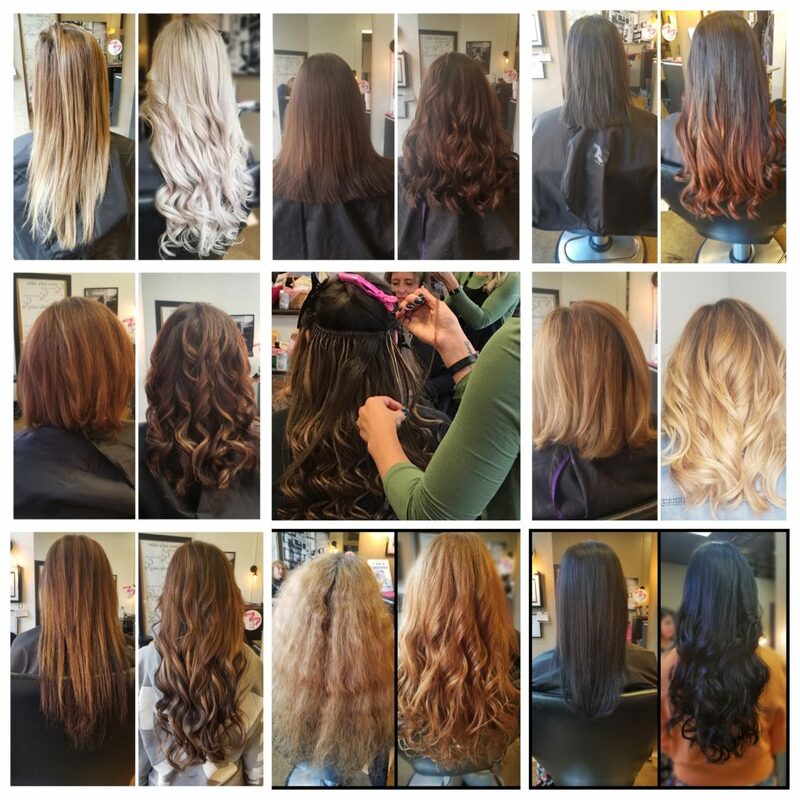 Six weeks later the extensions will require a full move up that will take two hours or longer if you are receiving a color service as well. The frequent maintenance is to maintain the fresh look of the extensions and the health of your natural hair. If you go too long between appointments the hair will begin to twist, dread and break. If you wish to have long, thick, beautiful hair this is your solution. Call today (717)398-2064 to set up your consultation with our certified extension specialist.